Posted in 2019, Current Issue. 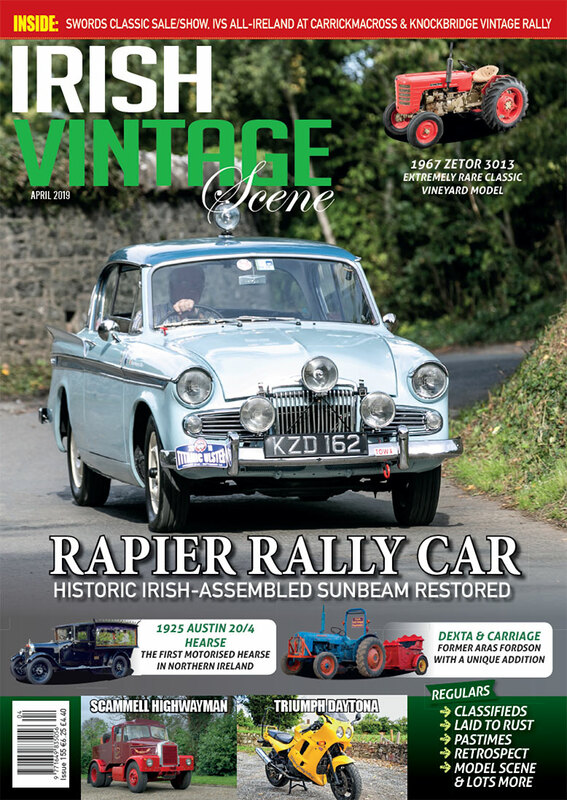 The April 2019 issue of Irish Vintage Scene is now on sale. 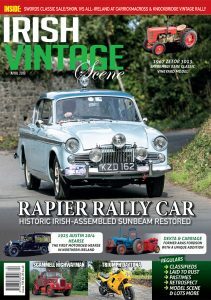 On this month’s cover we bring you the story of a unique Irish-assembled Sunbeam Rapier with a historic rallying pedigree, while our second feature showcases a 1925 Austin 20/4 that’s thought to have been the first motorised hearse to enter Northern Ireland. Our main tractor feature this month tells the story of probably the only Zetor 2013 Vineyard in the country, while for our second tractor story we look not only at an ex-Áras an Úachtaráin Fordson Dexta, but the possibly unique carriage it pulls behind it. In our motorcycle feature one of our regular contributors tells us about his modern classic Triumph Daytona 900, and our featured commercial vehicle is a recently-restored Scammell Highwayman ballast tractor. 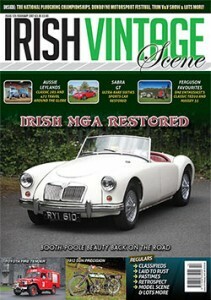 Event reports in this issue include the Swords Classic Car Sale & Show, Irish Vintage Society All-Ireland Rally at the Carrickmacross Vintage Club Field Day and more besides, and all of the usual favourites are in there too, so don’t miss out – get your April 2019 issue of Irish Vintage Scene today at any good newsagent, or order here online!